The Kratts are in Alaska, anchoring the BBC and PBS’s prime-time “Wild Alaska Live” specials from the Mendenhall Glacier. Last week, KTOO’s Annie Bartholomew caught up with the brothers and some of their biggest fans in Juneau. At Eileen Begenyi’s house in Douglas, her kids are getting excited. 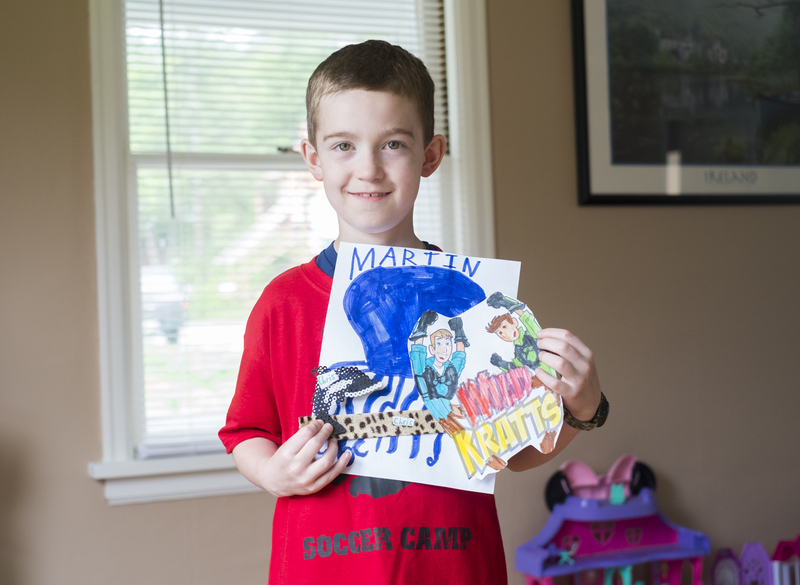 Seven-year-old Charlie Begenyi shows me a little of what he’s been working on: a picture of an octopus, a beaded orca, wrist band and a picture of the Wild Kratts. 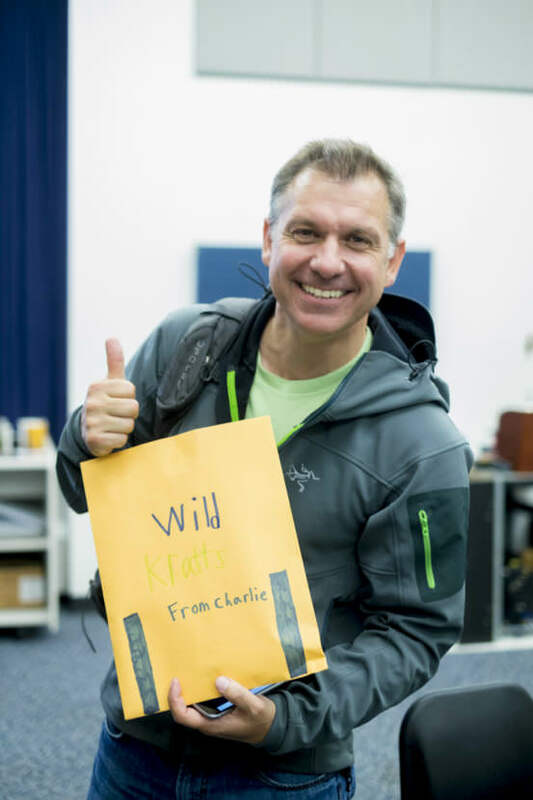 They’re gifts for Chris and Martin Kratt, who the family is going to see at a KTOO event at Thunder Mountain High School. Four hundred tickets sold out in under 10 minutes. “Wild Kratts” is a hybrid live-action and animated series that teaches kids about natural science and animals. In their animated world, the Kratts access technology of the future, traveling the continents in their flying amphibious vehicle, the Tortuga, which is in the shape of a turtle. Resident inventor Aviva helps them along their journey. The most important technology is the brothers’ power suits they use to gain animals’ creature powers. Think cheetah speed or a chameleon camouflage. For their trip north as part of “Wild Alaska Live,” the Kratts created a special “Wild Kratts Alaska” show, where the animated Kratts get salmon-sized and follow a sockeye to her spawning ground. Along the way they leap with orcas, dodge salmon sharks and escape danger from predators like grizzly bears, gray wolves and Steller sea lions. The bald eagle Justice from the Juneau Raptor Center at Meet The Kratts, Wild Alaska Live Meet & Greet at Thunder Mountain Auditorium on Thursday, July 20, 2017. At the sold out Juneau event, the Kratts previewed the new episode. After the opening scene, the lights faded up to reveal Chris and Martin Kratt, in their signature blue and green. 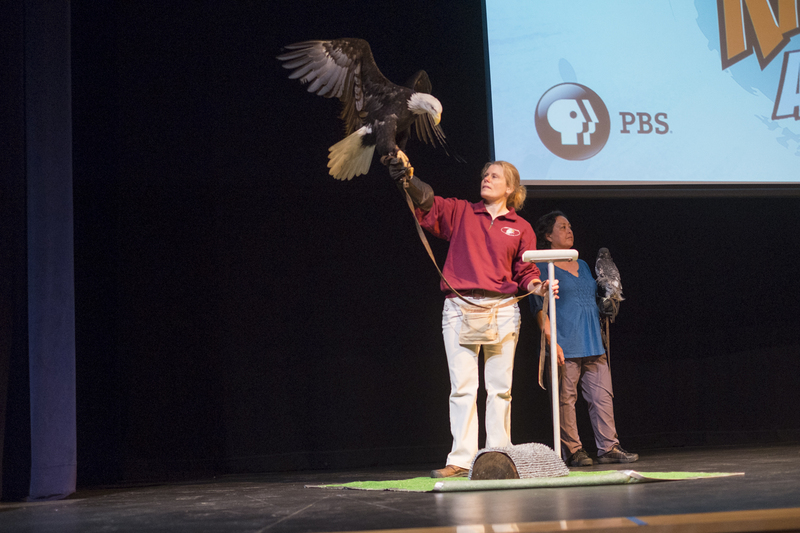 Joined onstage by a bald eagle and falcon from the Juneau Raptor Center, the Kratts opened the floor to questions. Kids in the audience quizzed them on their favorite animals, scariest encounters and whether they’d considered doing shows about creatures like slugs, flamingos, house pets and more. Backstage, Martin Kratt says Juneau’s kids gave them lots of good ideas. “Apparently we have to do an episode about puppy power,” he says laughing. With more than 130 “Wild Kratts” episodes, the brothers say they’ve only scratched the surface of the creature world. Season 5 is in the the works with 20 new episodes, including a Halloween special, in which they will get the creature powers of the vampire bat and tarantula. Chris and Martin Kratt encouraged kids to go on creature adventures of their own. 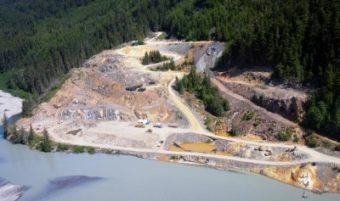 In the Tongass National Forest, they don’t have to go too far. Watch Wild Kratts Alaska: Hero’s Journey on pbskids.org. 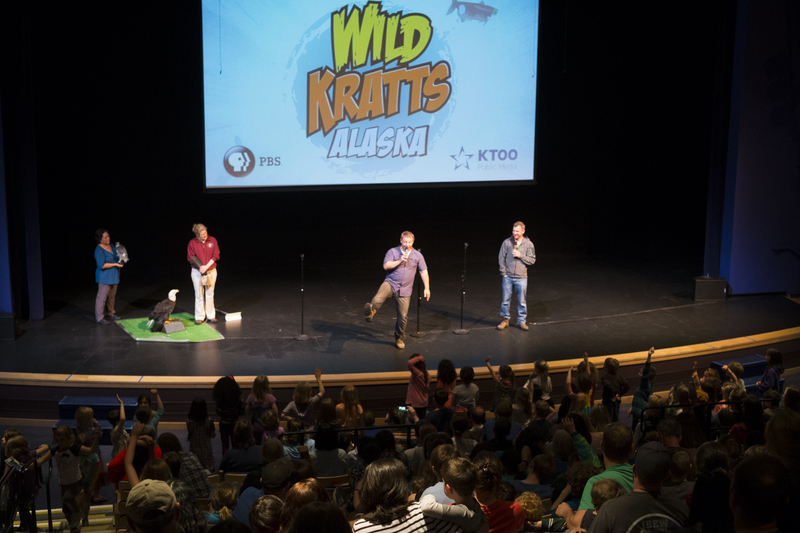 The Kratts are hosting the second installment of “Wild Alaska Live” at 4 p.m. Wednesday with a repeat at 7 p.m. on Alaska Public Television. The third and final show is at 4 p.m. Sunday. The programs will also stream live at pbs.org/wild-alaska-live. More details on broadcast times in Juneau are posted here.